Just weeks after the Nokia 9 PureView’s delay was confirmed, three variants of HMD Global’s highly-anticipated flagship have just received their Bluetooth certification. Listed under the model numbers TA-1087, TA-1082, and TA-1094, the models support 4G LTE networks and Bluetooth 5.0. As is the case with all Bluetooth certifications, though, no other information about the flagship is provided. Nevertheless, the listing does hint heavily at a nearing release. In most cases, Bluetooth SIG certifications are granted somewhere between a month or two prior to a smartphone’s launch. This would suggest that recent reports of an announcement in late January 2019 are indeed accurate. 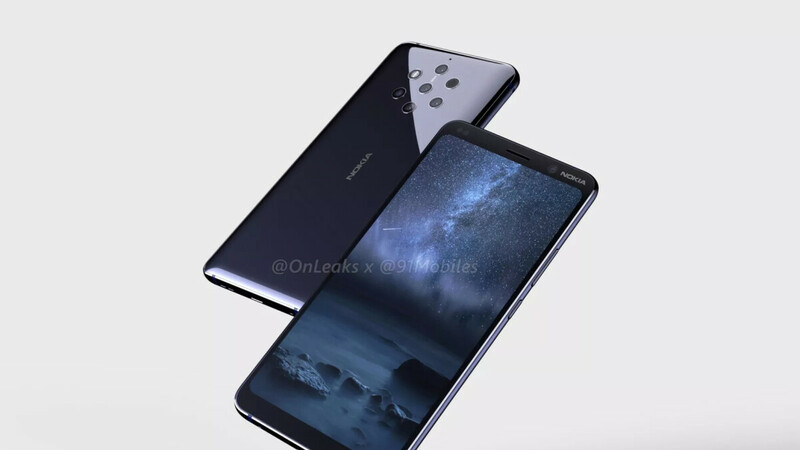 The Nokia 9 PureView is currently expected to make its debut as the world’s first Penta-camera smartphone. The details of this particular setup remain unclear at the moment, but the cameras will arrive with ZEISS branding. Also, as per usual, a single selfie sensor will be present. Aside from the smartphone’s unique photographic features, Qualcomm’s Snapdragon 845 is to be expected. This, according to previous leaks, will be accompanied by 128GB of storage and 6GB of RAM. Lastly, just like the recently-announced Nokia 8.1, the Nokia 9 PureView should launch with stock Android 9 Pie pre-installed as part of the Android One program. The awesome OnePlus 6T is going to make this phone DoA if it costs anything more than $400. You can get an 8GB 6T with 256gb of storage for $649. The OnePlus 6T won't make this DOA because of the different markets that Nokia branded smartphones are stronger in than OnePlus is. But the OnePlus 6T sure did make some other flagships DOA, like the Pixel 3/3XL. Bring it up on. But 845 snapdragon why 855 and 8gb memory, oh well 6gb is still good. $399 would be a good price. I agree. The fact that it's launching with the 845 will already put it behind the S10 which is no doubt coming next year. Nokia has sat on this for too long now. This phone is $1000?! Funny, I don’t see a price listed anywhere. Jokes aside, I’m gonna lean on the side of HMD learning their lesson about smartphone pricing. They kind of hinted as much when they mentioned how their current high end offering didn’t do so well, sales wise. HMD wanted to get the bugs out before releasing this, unlike some other OEM’s (looking at YOU, Google). Did it take long? Yes. But if priced right, and if the camera performs well, along with the SD845 still being a very capable SoC, it should do well. If the camera is good and the price is reasonable (for a 2019 phone with SD845) then I'll buy one. I've been waiting for a Nokia phone with a great camera and good battery life ever since HMD brought back the brand from the dead. Price it competitively, let the camera be good enough to compete with the top camera phone out right now (Huawei P20 Pro), and SD845 or not, this thing will do well. Can't wait for the official release. Funny how people suddenly think that the SD845 is not good enough, 855 is not released yet! Exactly. Like it’s suddenly not going to work when the 855 comes out. Some phones that some people here claim are the best phone ever, like the OnePlus 6T, use the SD845. I guess this means it won’t be, going by their logic, once the SD855 is released in smartphones.